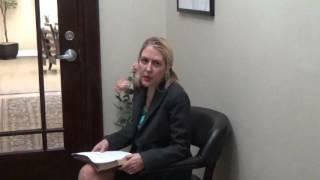 Are you considering filing for bankruptcy in the Tampa Bay area? You may need to think carefully about any recent real estate transfers you have made or any real property transfers that you are thinking about making before filing. In short, if you transfer real property in relatively close time proximity to filing for bankruptcy, you could be accused of bankruptcy fraud. Given that real estate often is worth a lot of money (frequently more than other types of property), transferring real estate pre-bankruptcy can set off alarms, so to speak, with a bankruptcy court. Of course, whether or not it is possible to transfer real estate before you file for Chapter 7 bankruptcy protection depends upon a number of factors. To better understand the complicated matter of real estate transfers pre-bankruptcy, we should take a closer look at some of the important questions you should ask yourself before considering such a transfer or sale. – What was the debtor’s intent in making the real estate transfer? According to § 548(a)(1)(A), if the debtor made the real estate transfer with the “actual intent to hinder, delay, or defraud” (for instance, if the debtor made the transfer with the specific purpose of preventing the bankruptcy court from knowing about the property and selling it to pay off creditors), then the debtor can be accused of actual fraud. – How much money did the debtor receive for transferring the real estate? Did the debtor receive fair market value for it, and if so, how did she spend the money she earned? Under § 548(a)(1)(B), if the debtor did not receive “a reasonably equivalent value in exchange for such a transfer or obligation” and was insolvent at the time of the transfer, the debtor may still be accused of constructive fraud. For example, if the debtor was in need of quick cash and sold her real estate for less than fair market value in order to get the payment quickly, this might be considered constructive fraud. Depending on the type of property, the bankruptcy court may be able to look back even further in time to any transfers you have made. Not all property transfers within two years of filing for bankruptcy are fraudulent. A primary example of a situation in which property transfers may be permitted is if the property was exempt. When a debtor files for bankruptcy, she will be entitled to certain exemptions. Exemptions allow a debtor to retain certain property even after filing for Chapter 7 bankruptcy. Florida’s homestead exemption is one of the most generous in the country, permitting an individual debtor to exempt all of the value in her home. As such, transferring real estate when it is the debtor’s home—which would be exempt under Florida bankruptcy exemptions—might not result in concerns about fraud. However, there are some limitations to the homestead exemption, including the length of time you must have owned your home before it is exempt. In addition, it is not likely that other real estate—such as a vacation property—will be exempt. Bankruptcy law is extremely complicated, and debtors in the Tampa area should know that certain transfers of property before bankruptcy can be construed as fraudulent conveyances. It is extremely important to discuss your situation with an experienced bankruptcy attorney in Tampa before transferring any property and prior to filing for bankruptcy. Contact Tampa Law Advocates, P.A. for more information about our services.